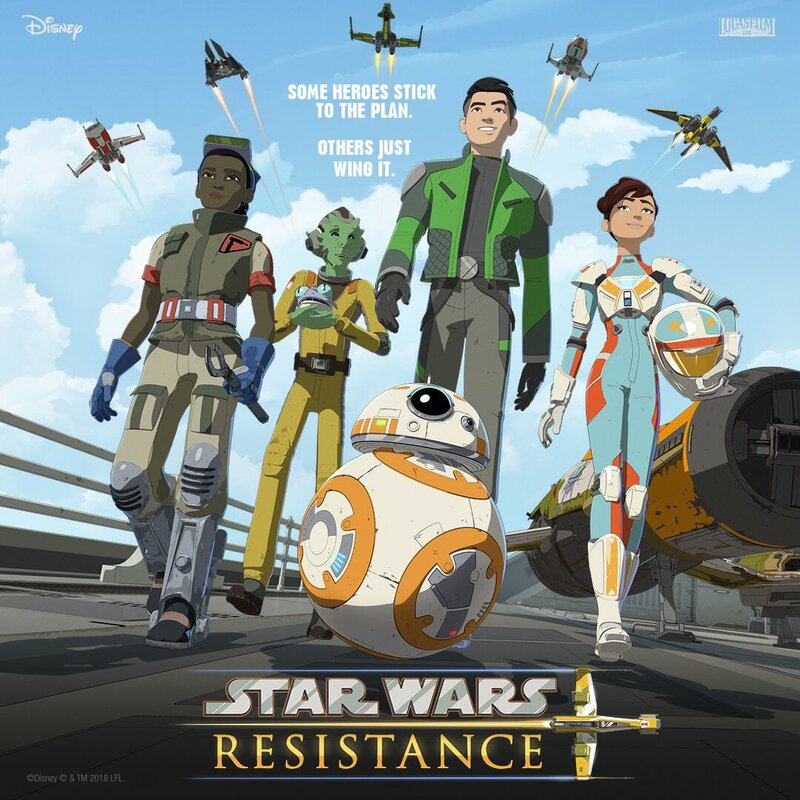 The Disney Channel has released a handful of episode synopses for the upcoming cartoon Star Wars Resistance, which will premiere on October 7. 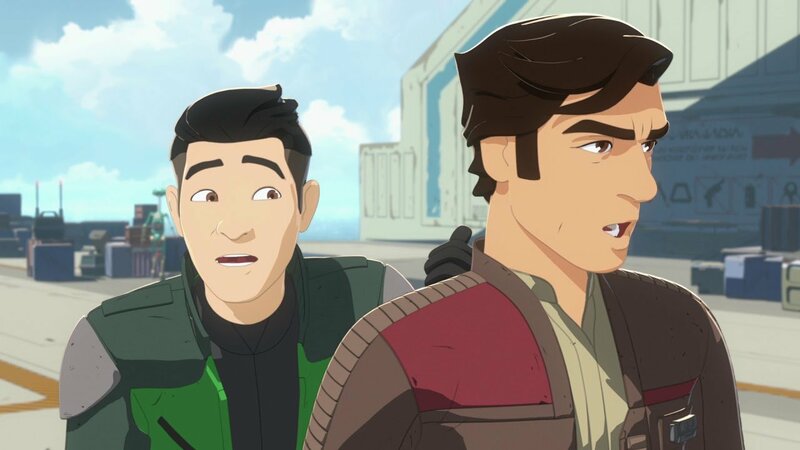 The cartoon will fill in the gaps between the classic Star Wars and the sequel trilogy, which features scores of guest stars, including Oscar Isaac reprising his role as Poe Dameron from the films, along with Elijah Wood (Sin City) and Donald Faison (Scrubs) and more. You can check out the synopses in the post below! X-wing pilot Kazuda Xiono is recruited for the Resistance, but finds himself in over his head when Poe Dameron assigns him to a remote fueling station to spy on the First Order. Then, after Kaz boasts about being the best pilot around, he is forced to compete in a dangerous sky race. Guest starring is Oscar Isaac as Poe Dameron, Jim Rash (Community), and Bobby Moynihan (DuckTales) as Flix and Orka, respectively. Kaz and BB-8 uncover information on an imminent pirate attack and must find a way to stop it. Gwendoline Christie guest stars as Captain Phasma. Kaz befriends a sky racer named Rucklin who pressures him to take some rare and dangerous hyperfuel hidden in Yeager’s office. Elijah Wood guest stars as Jace Rucklin. The First Order arrives at the platform for mysterious reasons and Kaz and BB-8 are determined to sneak into the tower to find out what they want. Donald Faison guest stars as Hype Fazon.